Our services can provide NetSuite training for your users on site or remotely. Our training lets users understand the NetSuite processes that are relevant to your business needs. Finding high quality NetSuite training from experienced NetSuite consultants who understand both business processes and NetSuite can be challenging. BM Online offers both on-demand, pay-as-you-use training as well as training courses. 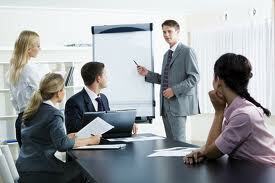 Most organizations require intensive training only for the first 3- 6 months. Our packages allows you to avoid expensive long-term support contracts. This type of service is perfect for obtaining training during your implementation, to support both major and minor NetSuite enhancement projects, after your implementation or simply as an alternative to NetSuite Support. A BM Online consultant can come to your location to perform training, consulting or support services. Whether it is to train employees or work on a complex customization, face to face support can prove to be an invaluable investment. This course is meant for managers and power users who set up and run the daily functions of marketing campaigns. In this course, users will learn how to use NetSuite’s marketing features. This NetSuite course is meant for application administrators and team members who are responsible for the setup and operations configuration. Business analysts and advanced users can also benefit from this training. This course is meant for marketing and sales teams and project managers. This course is meant for administrators and customer service managers. This course is meant for any NetSuite user with the exception of the employee center.